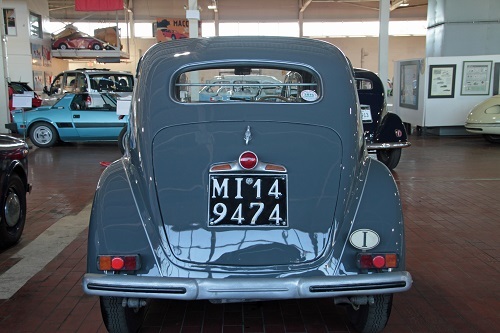 The Ardea, introduced in 1939, was a “luxury utility” model a size down from its big brother, the Aprillia. The car is similar in layout, but simpler in design, with a solid rear axle and no trunk opening. The name followed Lancia’s convention of models named after Roman Empire coastal towns and roads; Ardea, Aprillia, Appia, Aurelia, etc. The Ardea was built in four Series, each improving on its predecessor. 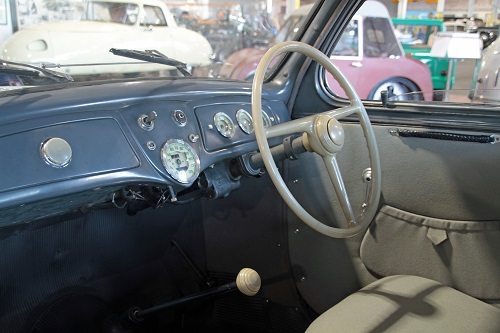 The Series I cars were all pre-war; Series II production picked up after the end of the War, with 12V electrical systems. 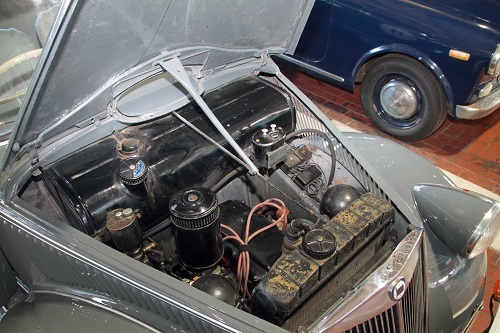 The third Series introduced a five-speed transmission (the world’s first in a production model), while the Series IV cars, as seen here, used an aluminum-alloy cylinder head with higher compression ratio, upping horsepower from 24 to 30. The Ardea was offered as a Berlina (sedan), seen here, and also as a stretched “Tassi Roma” (taxi), Camioncino (small truck), and Furgoncino (small van). A bare chassis, the Tipo 350, was designed but never released for coachbuilders to ply their trade upon. 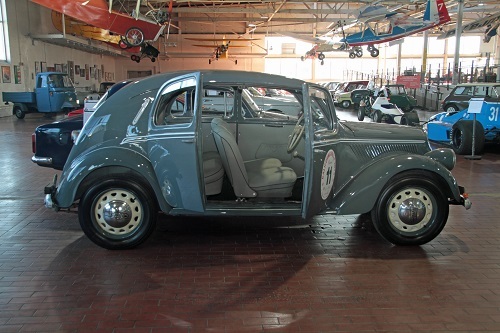 Nevertheless, both Zagato and Pinin Farina built a handful of Specials on the Ardea chassis. While most post-war continental European cars were left-hand drive, intended for driving on the right, Lancia continued offering RHD cars in small markets into the 1960s – mostly mountainous areas where the driver needed to be able to see the edge of steep cliffs while driving. The Ardea was replaced by the Appia in 1953. This particular example was the very last car ever purchased by Martin Swig, a legendary automotive figure and founder of the California Mille vintage rally. He passed away in 2012, while the car was in transit from Italy. His sons, David and Howard, drove it in the 2013 event in his memory. 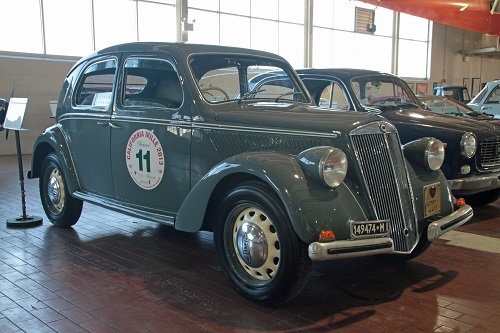 Manufacturer: Lancia & C. Fabbrica Automibili – Torino S.p.A.